How Expensive is Commercial Swimming Pool Maintenance? Are you considering opening a pool club? Or maybe you are a pool manager, and you need to gauge your cost of repairs. Whatever it is that has you asking yourself how expensive commercial swimming pool maintenance is, let's break down common contributing costs. 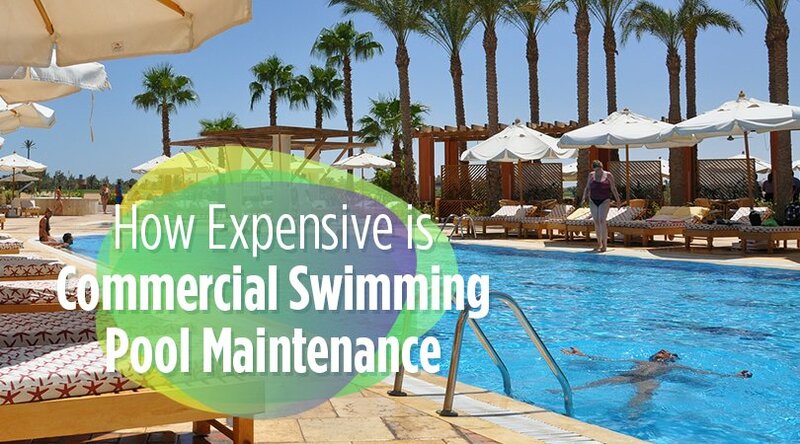 Is Commercial Swimming Pool Maintenance Expensive? First, we need to look at the difference between maintaining a commercial swimming pool, and the cost of actual maintenance for a commercial swimming pool. These are two different costs. Check out the various line items that each contain to get a better idea of costs. Another variable is the size of your pool. The larger the pool, the larger the cost. Larger pools will require larger quantities of chemicals, and it takes longer to clean. The higher the occupancy increases the number of lifeguards you need to have on duty. Now let's talk about maintenance. A commercial swimming pool takes more time and care to keep it working properly. Since commercial swimming pools have more traffic, it also means they have a higher probability of having health concerns. The main priority of a pool manager is to keep your patrons safe and healthy. To ensure health and safety, you need to have your pool levels checked frequently throughout the day. The number of people, the sun and heat, "accidents" all have an effect on the pH level of the pool. The chemicals balance is essential. A chemical automation system helps simplify this process. Another component to commercial swimming pool maintenance is making sure the heart and lungs (aka the pump and filter) are in excellent working order. These parts do all the heavy lifting for your pool, so you need to check them regularly to make sure they are working correctly. You also want to have replacement parts on hand, so a repair can be made quickly, if needed. Have gaskets, gauges, seals, and valves handy. It's both a time saver and a cost saver as well. We now proudly serve all of Florida. Each of our trained and certified pool leak detection specialists utilize the most advanced methods and technologies.